January 14, 2019 -- Advanced image analysis firm QUIBIM has received CE Mark certification for its Precision image analysis platform. 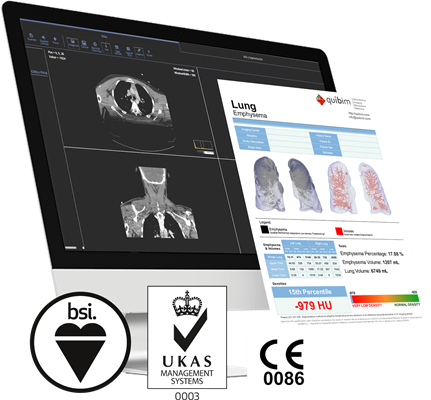 The Precision platform includes 15 imaging biomarker analysis algorithms, the DataMiner for advanced visual analytics, and a DICOM viewer, and it is now certified as a class IIa medical device in Europe. The platform also offers structured reporting capabilities that integrate directly into the radiology workflow. Precision image analysis platform. Image courtesy of QUIBIM.